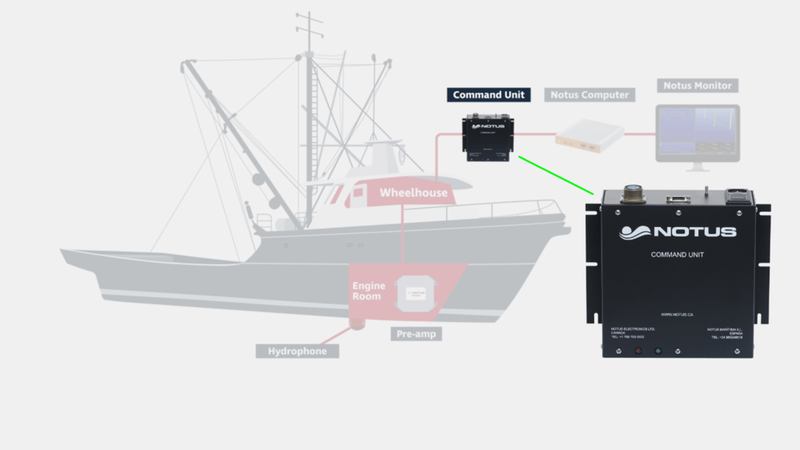 The Notus Seinemaster is a wireless seine monitoring system. Its design is based on more than 25 years of experience. Notus has worked closely with customers to offer sensors that provide reliable, real time data and convenience of use. With our unique and reliable Activ-Omni Intelligence, Notus is the only net monitoring system to boast two-way communication, offering a complete view of the seine as it is being set and pursed, AND true omnidirectional capabilities, providing sensor data when it’s needed most. The Notus Seinemaster provides optimal performance, for superior results. The Seinemaster provides answers by attaching small, robust sensors to the seine. All information is transmitted to the vessel wirelessly. Sensors are installed just below the corkline and on the leadline. Just one sensor on the leadline provides depth of the seine, sink rate and range to the leadline. Up to three sensors can be added to the leadline. Alignment sensors can also be installed just below the corkline. These sensors calculate the alignment of the corkline with the leadline. This information is invaluable to ensuring fish do not escape. A system consists of shipboard equipment (command unit, computer and hydrophone) that communicate wirelessly to sensors on the seine. Seinemaster displays all information in graphic and numeric form. Omnidirectional full coverage. Data is provided as soon as sensors are in water. Notus sensors boast an active, two-way communication system, not offered by other net monitoring systems. Instead of relying on traditional one-way pingers, Notus systems ‘talk’ to each other via proven two-way protocols. Using this reliable technology, Notus is the ONLY system capable of providing a complete view of the seine as it is being set and pursed. 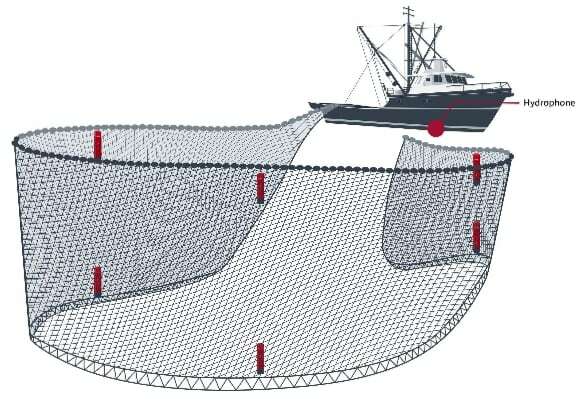 Depth of footgear and the distance from the vessel, combined, is information that is critical for deciding when to purse, and Notus is the only system that provides distance. Variable data rates: 5, 10, 20 and 60 second intervals. Notus is the only system to offer true, omnidirectional pattern beams in all of our net monitoring sensors. This proves to be vital when fishing in less than ideal conditions, when information is needed most. Depth sensors indicate the distance from the ocean’s surface to the sensor. Range from the vessel to the sensor is also provided. Depth information avoids pursing too soon. Depth is monitored in real time during the entire set, ensuring the seine is around fish before pursing. Alignment sensors (installed just below the corkline) indicate the alignment of the corkline and leadline.